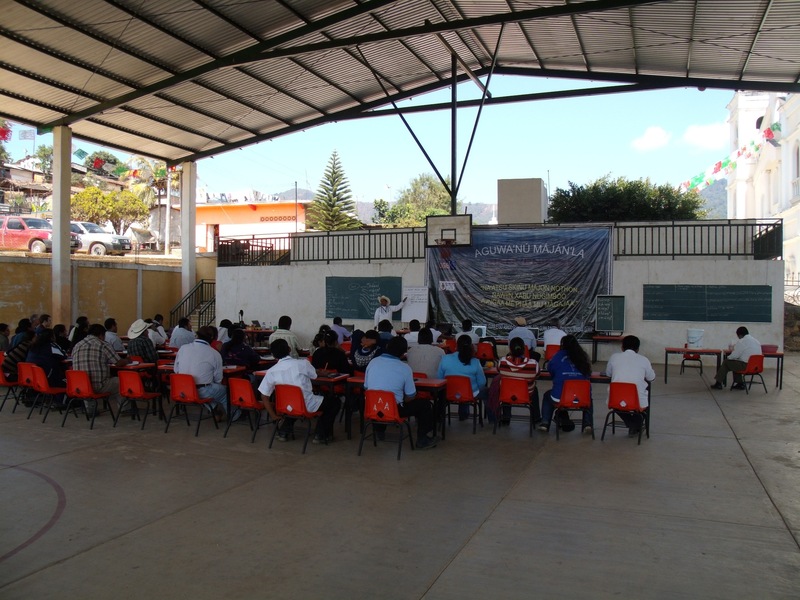 When I was in México, working with a team doing language documentation we visited a community workshop where the community organizer was promoting the language through a dictionary creation effort. I was interesting to see the various bi-lingual teachers come together and discuss a proposed entry and the definition. There were several interesting aspects of the social interaction: there was the political unity in the perception that they were all there for the good of their language, there was the social unity because they were mostly there because they were in state jobs as teachers or school administrators. But perhaps more socially significant was the perception that the workshop leader had skills in organizing a dictionary. (Nothing wrong with this perception and it is probably an accurate perception.) Yet, it was not the only perception which was at play in the social interactions. There was also the cultural age based and social ranking based way of coming to a consensus about what did a particular Meꞌphaa (or any given) word mean. It is kind of this unspoken tension between the eldest in the group who would culturally have the authority or provide a stamp of approval, the workshop "dictionary expert", and the average participant who has to decide if they agree or disagree with whom and if they are going to show it. There is a myriad of difficulties in overlaying language data with geographical data. But it has be done and can be done. 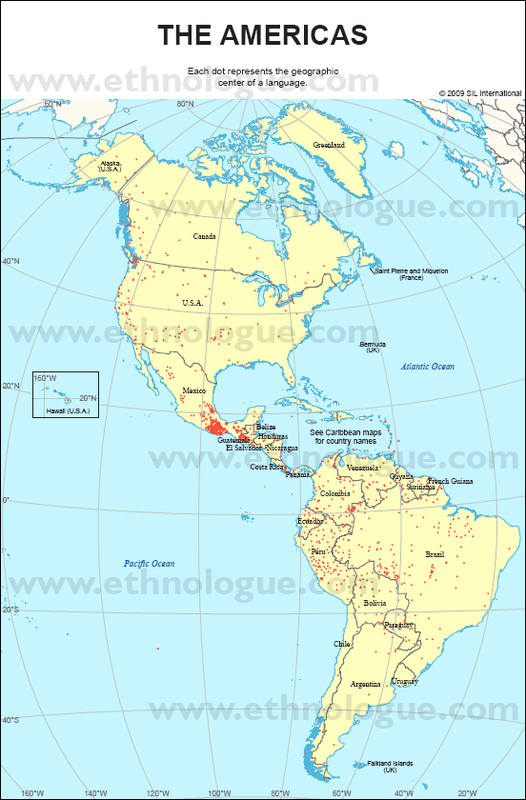 While I was working in México on a language documentation project, I learned that some of the language mixing (not quite diglossia, rather the living of two people groups with different languages in the same spaces) was due geographical factors and economical factors pulling them into the same geographic locations. In the particular case I am thinking of there was a mountain pass and a valley on the way to the major center of trade. In this sort of context the interesting things are displayed not when a polygon is drawn showing a territorial overlay of where various language speakers living, but where something is drawn showing what the density or population dispersion per general population is. Some of the most detailed (in terms of global perspective) language maps can be found in the Ethnologue . However, as I was working on the language documentation project I found out how much effort actually goes into that sort of map. 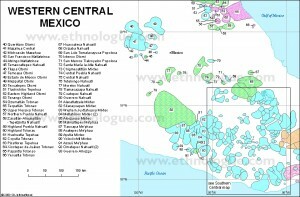 ArcGIS, the software used to create the maps can not auto-generate a polygon a certain distance around a combined set of given points. A set of points can be selected and each point can get a 5 mile radius. What this means is that each polygon has to be hand drawn. This sort of graphical overly that is used in the the Ethnologue does not show the density of speakers of a language in an area relative to the total population (in the Ethnologue’s defense I am not sure it is supposed to). For instance, if I wanted to know “What is the density of speakers in the Me’phaa area of México relative to speakers of other languages?” that would show me some dispersion, and by implication the peopling of the area. This sort of geographical overlay may be closer to displaying social networks, not really bilingualism or diglossia. There might be some bilinguals or some average level of bilingualism there, but the heat map method of plotting is looking still at the density of speakers to an area. A simular map might be created of New York City where certain languages are given a color based on their distribution density in the area. Additionally, these sorts of data overlays are probably more prone to lend insights on language attrition patterns or language speaker migration patterns. Also these hand drawn polygons change (a little) from edition to edition. Because the data used to create the polygons is not referenced (cited) it is hard to tell if the change is keeping pace with language attrition and/or population movement or if the changes are due to a better linguistic understanding in a particular area. 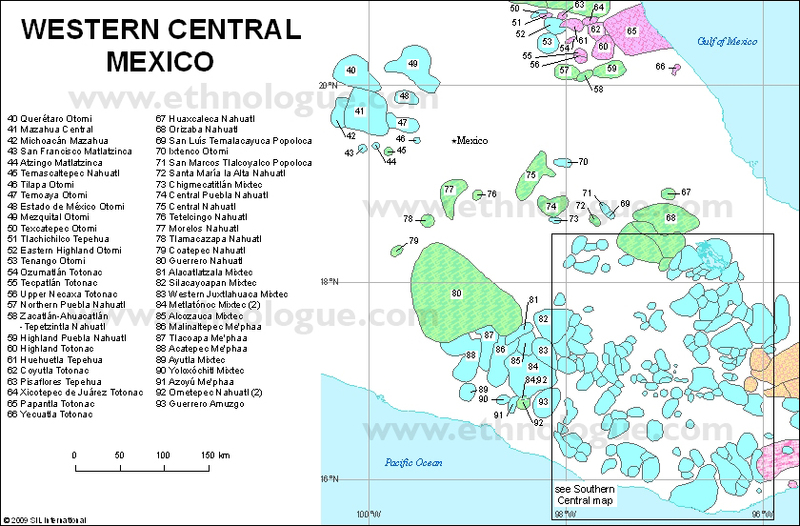 When looking at the large area maps in the Ethnologue, it is hard to tell if the red dots represent “traditional” language area (or geographical center thereof) or if the points represent the current geographical center of the speaking area. Either way the plotting functions as if it were a heat map showing the diversity of languages over a geographical area. Obviously I still think that language based heat maps could prove to provide language workers world wide access to visualizations of data that could really add clarity to the language vitality situation.